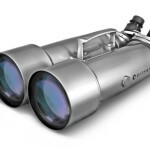 Check out the Best Binoculars Available! It can be the endless waiting or the rush of adrenaline when the moment arrives. The tracking in the snow or sitting in the rain wondering if you are ever going to find what you are looking for. No matter the conditions hunting and the thrill of the hunt have been part of civilization since before civilization. While binoculars don’t go that far back, owning good hunting binoculars has become an essential part of a hunter’s toolkit. Not just any pair but the right pair especially suited for that particular individual. 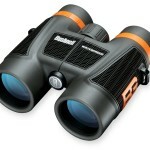 There are thousands of pairs of binoculars and hunting binoculars that are available. Some are expensive and some not so much. Most people want to try and spend the least amount of money possible on a pair of binoculars, but that will cause them to end up with a pair with terrible quality that will break after a couple uses. 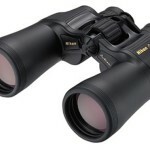 After reading my guide and checking out the Best Binocular comparison chart, you will definitely know which pair of binoculars is right for you and you will get the best binoculars for the money. Let’s face it buying binoculars like most things in life is about what is best for you. One pair may have all the latest gadgets and innovations but leave you cold. Others may be as basic as you can get and that’s exactly what you want. Each type mentioned here comes with a detailed description along with the pluses and minuses. While cost should definitely be considered (check out the brand pages for price listing), a lot of the decision making process gets down to what you want to see, how you are going to use them, when and where and frequency of use. Being on the move may require a pair of binoculars that are small and lightweight. Something ideally suited for hunters who are working with an extra amount of equipment. Compact should not mean fragile. Hunters need specs that no matter the size can stand up to wear and tear. Owning a pair of gargantuan high powered binoculars may look cool in the movies but in the real world there cumbersomeness can wear on the average hunter. You’re usually carrying enough equipment without the added burden of lugging around some heavy duty field specs especially if it’s going to be a long day which means a lot of walking. It stands the reason that getting a good pair of compact hunting binoculars would be the natural alternative. Easy to carry and store. Lightweight enough so it does not wear on you after a while. But there’s a catch. While the bigger binoculars may be a chore to carry their size provides a larger objective lens (lens opening) which allows more light to filter in giving you a sharper image. This is particularly important to hunters who know first hand what it’s like to try and spot their prey in less than idea weather conditions. Also many compact binoculars are not compatible with a tripod. While certainly a tripod is not necessary a lot of hunters like having that option. But like any piece of equipment it all comes down to what you will be using them for. If you are going to be in a more wooded areas then something compact with 8×42 may be idea. 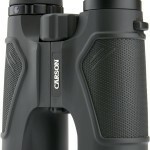 You may not get the high powered magnification but it does provide a wider field of view. This is crucial when you are trying to take in a little more of the surroundings to get a sense of where your target is and in particular where it can go in a hurry. You also don’t have to worry about the fact that the slightest movement on you part will lose you sight of the target. This becomes a problem when magnification gets into that 12 times to 20 times range. Sure the deer or whatever prey you’re after can be right up on you but let the ground jar your movements and you can say goodbye once you try to refocus. This goes for just normal wear and tear as well. The last thing you want is to invest in an expensive pair of compact hunting binoculars only to have to replace them after a relatively short amount of time. Of course you don’t expect them to last forever but you sure want to get your money’s worth as well. Being out on a hunting trip with you brand new specs only to have them become quite useless when it rains doesn’t do you any good. There are a number of manufacturers that take all this into account but more often than not getting a pair of compact hunting binoculars comes back to the time of day and what’s the weather going to be like when you are outdoors. Bright sunshine means your image is going to be sharp regardless of what type you are using. Overcast, dawn, dusk or anything with less than ideal lighting will result in less defined images. Depending on which pair of compacting hunting binoculars you use what you are trying to see through the lens can be quite murky. One more practical point to mull over is the size of your hands. Compact is great for some but if your hands are too big then dealing with one may get to be a pain. It should be noted that there are hunters who have large hands and fiddling with compact hunting binoculars is not an issue but again it is something to consider. The more comfort and fewer distractions the better. One of the most popular type of field glasses, people in general and hunters specifically love the fact that they can press a button and their target will keep getting closer and closer. That’s all well and good but binoculars with zoom may not necessarily be the best way to proceed for gamers. You can check out some old movies from the nineteen sixties to see when cameraman and audiences for that matter fell in love with the zoom lens. It brought things closer without having to move the camera and people couldn’t get enough of it as you can tell from the overuse it was subjected to. Fast forward to the present and the zoom lens is standard fare including with hunting binoculars. Sportsman are told that all they have to do is stay where they are and the zoom lens will bring your game right to you. While it’s supposed to work that way and zoom binoculars are extremely popular with hunters, birdwatchers, stargazers and others there are major issues you should know about before going in that direction. The whole idea behind zoom binoculars is that you can change the magnification level. For instance when you see binoculars that are 8×42 that means they are fixed in focus. You look through the lens and see a white tailed deer eight times closer than you would normally. With fixed focus it’s always going to be eight times more. Zoom Binoculars with the push of a button can take you from eight times to twenty times the magnification depending upon how the range is set. People love the idea of bringing the object closer without actually having to get closer and a lot of hunters are no different. If you don’t have to move (at least not yet anyway) then why bother? That’s all well and good but zoom binoculars have some baggage that makes them less than optimal. Binoculars are two telescopes joined together and aligned so that the lenses are focused in the same direction. The technical term for this is collimation. On a fixed focus binocular – like the 8×42 mentioned previously – the alignment remains the same. Not so with zoom binoculars. In order to keep moving back and forth between say 10x-30x the alignment is built to be slightly imprecise. In other words you may be in for some major eye strain. Staying perfectly still at key moments when you are out gaming can be the difference between success and going home empty handed. While binoculars with zoom can bring what you’re spotting ridiculously close, any type of moderate movement can make what you’re viewing quite choppy. There are some specs that can go from 20x to 140x. That’s a lot of power and if your hand shakes it can be very frustrating. Because there is the ability to increase or decrease magnification, high zoom binoculars often get out of sync. There are a number of optics and moving parts required to create the zoom effect which makes it incredibly difficult for the two telescopes to get the exact same magnification at the exact same time. The end result is your object gets slightly exaggerated something you don’t need when you don’t have much light to work with. Knowing your terrain is a must and at some point you have to pull back from the zoom and check out more of the landscape. If you have specs that are 10x-30x you’re field of view is going to be a whole lot less at 10x than would a regular fixed pair. With some zoom binoculars you can literally cut your field of view by fifty percent. Zoom binoculars are popular and they have their place. No doubt being able to get closer than close is a huge advantage but there are a number of critical elements that hunters will have to sacrifice in the process. In the grand scheme of things the joining of the camera and binoculars is not all that old. New or old it is one innovation many hunters love. The capacity to focus in on your target and photograph at the same time has been a major boon. Now it’s possible to gather more information and make the necessary adjustments without the normal guesswork. Ancient gamers from days of old would probably laugh at all the things we need to go hunting nowadays. It’s seems like at times we are packing for a six month journey. And in truth to tell in many ways we are. Of course many modern gamers still play by the old school rules. They don’t get bogged down with – for them anyway- a whole bunch of useless equipment. But things being how they are many gamers do not find this a problem. For them all this new equipment is an advantage. It’s not always about making things easier but if it can help and keep things enjoyable then hey why not? One of those pieces of equipment that hunters utilize nowadays is the digital camera binoculars. It was not all that long ago when manufacturers finally figured out how to combine the essential elements of both into one house unit. This has earned them the gratitude of many gamers as well as other nature observers. Now you can point and shoot with a pair of specs. This makes it so you can do a more in-depth study if you wish of your target, the landscape and the lightning conditions instead of just trying to gather information on the fly or try to remember exactly what you saw. This last part is often overlooked by the general public but experienced gamers know that things can change with one blink so having a documented visual record can be extremely helpful. The digital age has reintroduced an old word back into our language. A pixel is the smallest element that can be manipulated on an image. Your TV is made up of countless pixels to give you the overall image. Looking through a pair of digital specs with the idea of taking a snapshot works the same way. The more pixels a pair of camera binoculars have the clearer and sharper the image. It’s kind of amusing that in this day and age no matter how advance we get, batteries are still required. Yes there is no getting around the fact you are going to need them. But if you plan to use the camera portion of your binoculars more than usual you do not want one that is going to drain the batteries for what seems like every time you turn it on. You also want to be able to recharge and not have it take a ridiculous amount of time. Battery prices are not coming down anytime soon so you don’t want to invest in a pair of camera binoculars only to find you need to buy stock in a battery manufacturer as well. How many photos do you plan to take? Preparation for hunting is just as if not more important than the actual hunt. How many will you need to keep? If the answer is as many as necessary then look for a digital camera binocular that can supply with the needed amount of space. Camera binoculars at the low end of the scale might not have this capability meaning there will only be a certain amount of images you can store before you are forced to start deleting. While the technology is definitely improving understand that digital camera binoculars are not always going to photograph exactly what you are looking at. It’s not like if you are viewing a raccoon from a two hundred feet it will show you a possum at fifty. But some of the details of what you are seeing might not translate exactly one hundred percent. This one is not really necessary but it’s thrown in to give you an option. The LCD (Liquid Crystal Display) lets you frame whatever image you are photographing. If you are going to take a ton of pictures and have the storage space for them then the LCD can help you choose which ones to keep and which ones to delete. At times you don’t want or need two lenses to look through. One will do just fine particularly if that one can do a fine job in letting you see what you need to see in great detail. It’s not that the spotting scope can and will replace an average pair of binoculars. But it does offer a number of features which can be invaluable to the hunter. You can get high powered binoculars with all the bells and whistles and for some hunters that’s it. Nothing else is required. They don’t have a need to see what they are sighting in super glorious Technicolor detail. A pair of good field glasses gives them all they need. Others want more. The very best optics is essential to them. Hunters more than any other group are arguably the biggest nature enthusiast. It’s not just about the game. It’s the whole experience of being in the great outdoors and enjoying the blessings that are a part of it. When you think of a spotting scope think of a telescope joined together with binoculars. This marriage gives you strong magnification with serious detail of whatever you are spotting. These features are present even if your object is a sizable distance away. So when it comes to hunting the question is why would you choose this over a pair of high powered binoculars? We mentioned magnification earlier and its worth expanding on. A good pair of field glasses can give you seven to twenty times more power. And with zoom binoculars this can go even further. Spotting scopes can start at twenty times and go up to sixty times more power. The difference between these and say for example zoom binoculars is scopes will give you greater detail of what you are viewing. This is particularly relevant if you are trying to distinguish between certain types of animals from a long way off. It can be very frustrating to site a game only to realize as you get closer it’s not the one you wanted. Because of this you just lost a whole lot of valuable time. Also since there is only one eye piece to look through this can cut down on the constant need to keep readjusting your site alignment as with binoculars. At times you feel like you got it exactly right with your specs then a short while later you’re doing it again even though you may be in the exact same spot you were before. However on the flip side spotting scopes do not have every advantage over field glasses. For one there’s the ability to close focus. Everything is not always at a distance and when that’s the case binoculars are much better hands down. For another there’s mobility. Binoculars by and large they are going to be smaller and more portable than a spotting scope. Scopes can be used by hand but generally work best when they are mounted on a tripod. If you are a hunter that does not like dealing with a tripod, a spotting scope might not be in your best interest. There’s no better way to bring the action up close in clear well defined detail. It’s not going to replace your trusty pair of binoculars and truth to tell it should not but a spotting scope can serve as a great addition to your hunting and nature observing arsenal. 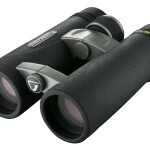 Check out our Spotting Scope reviews! 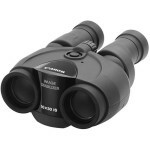 Marine binoculars are for those who are going to be out on the water or near any of it. Some places get a lot of rain. At times that’s the perfect time to go hunting. Other times you just get caught out in it. Marine binoculars are built to withstand it. So why doesn’t every hunter just go out and get a pair? There are times when you may find yourself on a boat hunting some type of waterfowl. Then there are those times when you will be slogging through water to continue the hunt or you just need to get where you have to go. Or it might be none of the above but you are still up to your hip boots in water because it has been raining like crazy. For civilians that means turning around a going back home. Hunters quite often cannot afford that luxury so they press on. Then there’s the fog to deal with whether in the morning or at dusk. Besides putting a crimp in your normal vision the dampness it brings isn’t doing your bones any good no matter how many layers you have on. Hunters face all these conditions and many more. You can’t do anything about the weather especially when you have to go out there and take care of business. That means if you are ready your equipment including binoculars have to be up to speed. 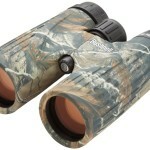 For weather conditions or just being on the water many hunters choose marine binoculars. The main reason is these types of specs are built to be water and fog proof. No doubt, with any pair of hunting binoculars you want them to be sturdy in case of accidents like dropping them. However what often causes many gamers to find themselves in the market for a new pair of field glasses on a frustratingly regular basis is moisture gets inside the binoculars. Marine binoculars are sealed (usually with rubber) to prevent that penetration. They also contain nitrogen gas to prevent fogging. And given the fact being on the boat or slogging through water is not a smooth for of travel many are equipped to stabilize. Now you would think with all these things going for it every hunter would just choose a pair of marine binoculars but that is the case. A major reason why is magnification. The standard size for most marine binoculars is 7×50 (7 times closer with the size of the front lenses at 50 millimetres). This can get the job done but for some hunters that’s just not enough power. 8 times, 10 times or even further up the scale is their preference. What they lose in field of view gets made up in the ability to zero in on their target. That’s not to say there are no marine binoculars with higher magnification. This is just to make you aware that more often than not 7×50 is what you will be working with. Many people out on the water find this ideal but it all depends on how, what and where you hunt. Another reason is weight. 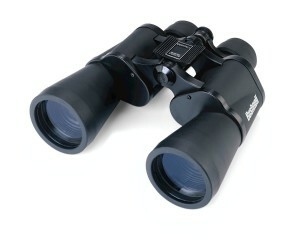 Marine binoculars are typically a little heavier given they are not the kind of field glasses you lug around all day. If you are doing a lot of tracking (walking) whatever you have on can after several hours start to feel like you are carrying lead and that includes binoculars. The last thing you want is something heavier than it has to be. But it all comes back to water, dampness and fog. One of these conditions by itself can damage a standard pair of binoculars. If you are going to be dealing with any of these on a consistent basis when you are out gaming then marine binoculars may be a good way to clap back against these elements. People not well acquainted with optics may not understand the difference. To them field glasses are about the same. Anybody that has done any form of hunting knows that nothing could be further from the truth. Spotting your target with the right amount of detail helps you determine if this is what you are looking for. A good pair of binoculars can help you navigate terrain and survey landscape. They can be invaluable if you get lost (yeah it happens) or if you just want to do a little stargazing. A primary factor in what you are viewing and the particulars of it are determined by the type of prism within the binoculars. A prism is a transparent body that changes the direction of light. 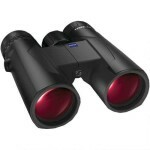 Binoculars will normally have either a roof prism or porro prism. The difference between the two is size and how many times the light will be reflected. The less the better which is why many field glasses utilize the porro prism. A quality lens moves all the given colors into one intersecting point. When done right you get a sharper image. When it’s not meaning the lens cannot bring all the colors together at the same point its chromatic aberration. The image gets blurred around the edges. Depending on the circumstances like weather conditions, time of day and location this can easily become an issue. counteract this, manufacturers coat the lens surfaces with a solution that increases the amount of light transmitted and reduces the glare. The more coats the better but this can be quite expensive. If you hold any pair of binoculars about eight inches from your eyes you’ll see two tiny circles of light. This is the exit pupil and depending on the size it will determine how much light gets transmitted. During the day it’s not a problem however since hunters often find themselves with not a lot of light to work with the exit pupil should factor in. manufacturers have added eye relief. The distance between the eyes and viewing lens (ocular lens) is fixed. To compensate for eyeglass wearers there are eye cups which can be turned up or down. The idea is to bring you as close to the point of looking through the lens as if you didn’t have on glasses. Not all binoculars have the same amount of eye relief. For all the optics, sturdiness should be an equal consideration for hunters. Conditions are tough enough without having to worry whether your hunting binoculars can stand up to it. Will rust set in or will they fog up after they get damp a few times? Maybe they accidentally get knocked over and something breaks or falls out of alignment. Your binoculars are going to be used under different circumstances so it’s important they be able to take it. In short you want to see what you are looking at. A pair of binoculars can be housed in one of the most beautiful casings that you have ever seen in your life but it’s meaningless if the optics are terrible or more to the point the binoculars work fine but you’re understanding of how is not up to speed. There are numerous things to learn and you can get an in-depth education by visiting different websites that specialize in optics or checking out your local library. For this website we provide information on a few areas of optics where you can learn what is needed to get you up and running . The main point is to bring your target a lot closer to you than it will be with the naked eye. But what do some of those numbers on a pair of field glasses? How does it all work? It’s also important to understand how certain conditions may affect magnification and that you do not always want to choose the most powerful pair of field glasses you can find. How close do want the game and exactly how clear do you want it to be? Answering these question is going to determine how you proceed with hunting binoculars. In order to make that decision it is important to have at least a working knowledge about magnification, what some of those numbers on the binoculars mean as well the different ratios of magnification. They have spotted what they are looking for and that’s all that counts. And truth to tell they’re right. For them the objective is to zero in without any distractions so higher magnification is perfect. Still others do not feel that way. Yes they want to hone in on what they’re hunting for but it is important to take in more of the environment in order to get a good feel for the topography. In this case a 7×50 or 8×42 pair of binoculars would probably be better suited. On any pair of binoculars you will notice a number followed by an x followed by another enumber. The first number represents the power and the x means times as in multiply. These two are in conjunction with each other. So for instance 10x means whatever object you are looking at is ten times closer than it would be if you were merely looking at it with the naked eye. The second number is for the front lenses of the binoculars also known as the objective lens. The size determines how much light is entering the binoculars. This will determine how clear the image you are looking at will be. The wider the objective lens (aperture) the more light you get and vice-versa for smaller sizes. Lower magnification offers the hunter a wider field of view. This means your target will not be as close but at the same time you are able to check out more of the surroundings. High magnification narrows the field of view considerably so you are basically looking at the object and not much of anything else however the upside is the details of what you are seeing get dramatically clearer. No guesswork needed. Hunting at dawn for example is going to be an issue for binoculars with a smaller objective lens regardless of magnification. So if you plan on doing some gaming during this time of day then consider getting some specs with a large aperture. 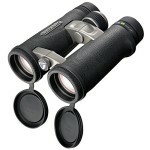 Magnification should not be the only factor when figuring out what type of hunting binoculars to go with. In the end it comes down to what will work best for you. However it can be very helpful to get a good understanding about it in order to make your decision a lot easier. of the principals involved optics seems like a more suitable choice. There are a number of possibilities as well as drawbacks to night vision binoculars; some very obvious others not necessarily. Also comprehending the different types of night illumination. Things happen and they can happen anywhere anytime. But there’s something about the night. The gaming becomes more heightened. The unknown charges the atmosphere and your exhilaration level goes off the scale. Not always but when it happens. Night vision or at least the beginning steps started in the 1930′s in Germany and World War II brought it into the fold but it wasn’t until decades later that the technology and know-how combined to get us where we are now. Certain types of night vision devices intensify the image allowing you to see in almost complete darkness. Others do not need an external light source. One thing to remember is night vision binoculars or goggles are not going to give you the same level of clarity in comparison with sunlight. This seems like an obvious point but it needs to be stated. More than a few people are under the impression that because night vision technology has advanced dramatically the ability exists to see an object like it was a clear day at high noon. Also take into account that the field of view is going to be greatly reduced. Whether binoculars or goggles it feels like you have blinders on. Normally the average person’s field of view is one hundred eighty degrees give or take. With night vision you can subtract roughly a hundred and forty degrees. Now for some hunters this is no big deal. They already have a good sense of where they are. The night vision is utilized to illuminate their path and potential target just enough. Depth perspective is also one of the drawbacks as it is hard to tell how near or far you are from the target. Again things like this may not be too much of a problem for experienced night hunters. The most widely used of the three, image intensifiers provide high resolution of the image. Most of what you will see will be green. This is because shades of green give more differentiation than any other color. Image intensifiers like binoculars require a modicum of light. Complete darkness renders them useless. Also avoid looking at any type of bright light source. The biggest advantage thermal imaging has over image intensifiers is they don’t need any light to operate. The idea is that the body temperature of any living being gives infrared energy. The hotter the better. Thermal imaging increases the distance you can see the object. However they are not cheap as since it is about the thermal it does take time to cool down. Probably the least expensive of the three. Near infrared illumination combines light sources not seen with the naked eye with radiation within that infrared spectrum. This makes for greater image detail and the capability to see in a variety of night time weather conditions. It is likely that if you do decide to get night vision binoculars it will fall under image intensifier although there are those that do have built-in infrared illumination. If you are always going to be stationary looking at your target (not likely for hunters) using an optimized pair of field glasses that don’t require you to do anything, then image stabilizing won’t concern you. However you and I know this will not be the case. And even if you get to a point where you really do not have to do a whole lot of walking, image stabilizing will affect you based on certain factors than can mean the difference between a quality steady image or one that looks like it’s on a trampoline. It’s a given that whether walking around, in some type of vehicle or standing still, you will experience some type of movement when you are holding a pair of field glasses. What is not a given is the degree to which this can become a major distraction. The constant shaking if you are trying to follow your target across the landscape can cause not only a blurring of the image but also considerable eye strain. It gets tiring looking through a pair of binoculars regardless of what you are looking at for any length of time. When the image is constantly moving or your hand is shaking this increases the strain. Expert hunting often comes down to an exact science. You need a lot of things to go right for you. A few are out of your control but things like a pair of binoculars that cannot keep still for whatever reason is not necessarily one of them. For many hunters they have found the solution to be image stabilized binoculars. There not a cure all but they can be a tremendous asset particularly when you are using specs with higher magnification. The idea behind these types of binoculars is to hold steady or at least to cut down the amount of movement you experience in a regular pair. The concept is the same for digital cameras. A few years back when you were filming something and holding the camera by hand instead of a tripod, it was obvious when you played the footage back that you were holding the camera by hand. If the camera had a zoom lens then the unsteadiness became more and more obvious depending on how much you magnified. Image stabilization whether in a camera or binoculars has certain mechanisms that sense the movement and make the proper adjustments. One way to do this is electronically (called active system) the other is in the form of a gyroscope (called passive). A third possibility is through a process where the binocular prism is mechanically suspended (cardanic). Whichever way the amount of unnecessary movement is reduced to a minimum allowing you to get a clearer image regardless of whether your target is in motion or still. The first two methods require batteries. Depending on how long you are going to be in the field and how often you use them will determine the amount of batteries you will carry as back up. Also it should be noted that using the gyroscope type stabilization is going to make it a little heavier than your average pair. All of them are not on the cheap side. A good pair of regular binoculars can run you a little bit but when you start adding things like image stabilizing and whatever else then you need to prepare yourself for some sticker shock. Still if you are worried about too much shaking and cannot reasonably carry and set up your field glasses on a tripod every single time you want to do any specific spotting then image stabilized binoculars might be worth a look. The center knob on a pair of binoculars brings the image into sharper focus. The problem is if you are not adjusting the diopter ring you will either have to keep adjusting and in effect you will never get the image as clear as you would like. This may not affect all hunters but it will be a hindrance for those with less than perfect vision. It’s not something you will have to do constantly however getting it right means that there is one less thing to deal with. Get into the regular habit of making sure your binoculars are in top form and stay that way. There are a number of things you can do to help with this process as well as knowing when it’s time to hand them over to a lens specialist. Ruggedness in a pair of binoculars is an essential for hunters yet understanding this is a sensitive piece of equipment as well must be taken into account. Care and maintenance means extending the life of your hunting binoculars as well as their performance. You can go the high end of the scale and invest in a pair of hunting binoculars which can hit the four figure range or be more economical and get a decent pair at a much lower price. In this respect it doesn’t matter which ones you choose or if you prefer to be somewhere in the middle, the bottom line is you will be wasting money if you do not make it your first priority to clean and maintain your field glasses. Upgrading your binoculars may be part of the program but the last thing you want is to shell out money before you have to for something that could have been prevented thru better care. Get into the habit of doing the following and you will be able to extend the life of your binoculars. Or more specifically get in the habit of cleaning after each use. It does not take long and by doing so you can avoid any problems that could build up over time. Wipe the metal parts with a dry cloth of some sort. If you have been out in damp conditions make sure the binoculars are completely dry before putting them back in their case. Storing them while still damp can lead to rust. Avoid touching the lenses with your fingers. Oil from our skin can easily leave blemishes on the lens. For the external lenses use a lens cleaning cloth and wipe the lenses in a circular motion. The internal lens is a bit trickier. For starters hold them up to the light and then look thru the objective lens (the big lenses at the opposite end from where you would normally look). If they are dirty then take them to a place that specializes in lens cleaning. This leads to us to the next point to keep in mind when caring for your binoculars. No matter what you know or what you think you know, dismantling your binoculars is never a good idea. Take them to a lens specialist store where the right equipment is available and people are trained to take apart and reassemble binoculars, cameras or any other type of optical equipment. Let them do it where if anything goes wrong you can at least get a guarantee of some type of reimbursement. If you do it yourself in the privacy of your own home whatever happens is your sole responsibility. You are going to be out on days when it’s either too hot or too cold. That’s the nature of hunting but be careful to exposing your binoculars to this more than you have to. Yes they are built to be sturdy but the optics built into them are delicate. Too much unnecessary exposure to brutal weather conditions can render them useless. It’s not like you plan on dropping them but this is where the majority of binoculars are rendered useless. The solution is to put straps on them, connect them to a binocular harness or put them back in the case. Since you are going to need them quite a bit when out hunting, the third option may not be feasible. Therefore keep them attached to something that you know will not easily be jarred loose. When you are done put them away in the case they came with. If they didn’t come with one then go out and buy a case that fits it. The case should be made to withstand the normal wear and tear along with atypical bumps and bruises. If you can store them in a place where the only person who can get to them is you then go for it. Better to be slightly overprotective then standing over a broken pair wondering how and why it happened. There are a lot of companies to choose from when it comes to finding a sturdy and dependable pair of hunting binoculars. Whenever making this kind of investment there are many things to consider. Besides cost there’s also how you are going to use them, the conditions, how often and so on. But you also have to take into account the people making the product. There are a number of newer places that are doing some good work along with established names like Bushnell and Nikon. Making sure the hunting binoculars work as advertised is one thing. The follow up you get in customer support is another. and whistles may require help for any hunter that’s willing to pay that kind of money. If the binoculars arrive to your door not collimated then solid customer support to help you or get you a pair that is shouldn’t even be a question. Things happen but good companies make a point of making sure that binoculars showing up non- collimated or lenses that’s haven’t been coated are very few and very far in-between. Here are a few popular places noted for their quality and support. We also highlight of few of their products as well. The Nikon Corporation has specialized in optics since 1917. Known for the quality of their lenses, Nikon manufacturers everything from cameras, to microscopes and yes binoculars. With an eye towards innovation Nikon does a lot of work to remain at the forefront of optics. Binoculars were not always available to the general public. In many ways they were considered the property of the elite few. That all changed thanks in large part to David Bushnell. Although he had studied engineering for a few years it was Bushnell’s import-export business that ultimately led to more affordable prices and accessibility for the working class. The Bushnell name has been at the top of the heap in the field of sports optics. They have won countless awards over the years for performance of their products as well as design including the 2013 binocular of the year award for the Legend Ultra HD 10×42. Bushnell has been at it for over sixty years. 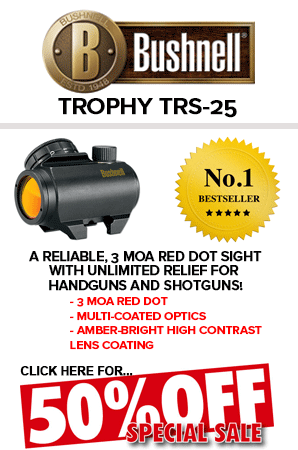 Located in Overland Park Kansas, they are one of the leaders in sports optics including hunting. While Bushnell like a couple of the other manufacturers offers both styles of binoculars (porro prism and roof prism) like the other places Bushnell is paying particular attention to roof prism which means compact field glasses. One reason for this is it allows a more streamlined look. For another it makes it easier to water and fog proof. 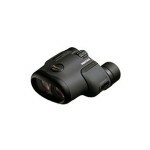 Also with the advances in optics compact binoculars have a wider field of view than previous versions. This move to smaller lightweight field glasses has earned the Bushnell Legend Ultra HD the 2013 binocular of the year as recognized by Binoculars.com. For light transmission the Bushnell Legend is arguably in a league of it’s own. A company like Zeiss can boast of sharpness and a extremely high light transmission rate as well. But the difference is in pricing. Bushnell’s are superior quality but at a much lower cost. Color saturation and contrast are two key factors to getting a quality view and the Bushnell Legend passes on both counts. It also does very well in low light situations. Hunters know the significance of this firsthand. Some species of animals only come out when it’s dark or getting there. The Bushnell Legend performs beautifully under these conditions. One word you hear a lot when talking about this particular pair of field glasses is clarity. You want that in any binocular but the reality is some deliver while others fall woefully short. Still others can only get the job done when conditions are just right. Bushnell Legend delivers excellent clarity in many varied circumstances. From Bavaria comes Steiner Optik. Arguably the world leader in producing military binoculars Steiner also pays specific interest to hunting and maritime as well. Steiner was the first to integrate the compass into their binoculars. One major difference between Steiner and places like Nikon and Bushnell is Steiner no longer branches out into other areas of optics like cameras, video equipment and whatever else. Instead they have made the conscious decision to concentrate exclusively on binoculars. Steiner’s line usually starts at roughly a hundred dollars and goes up from there. Outside of riflescopes, Steiner does only one thing and that’s binoculars. For 65 years they have been doing it pretty well. If you take a look at Steiner’s field glasses besides the optics one thing that jumps out at you is how rugged they are. If they’re is such a thing as toughest binocular of the year than Steiner would probably win hands down every time. As discussed previously ruggedness is a major factor for hunters when it comes to field glasses. You just can’t take a chance on pair that has decent optics or even fantastic but are pitiful when it comes to regular usage. Or perhaps you find yourself in situations where the weather changes unexpectedly. Then there’s your movement as you bounce around the terrain. It’s not always going to be smooth sailing. Steiner takes all of this into account. As a matter of fact they pride themselves on working closely with experienced hunters to develop an optimal and very usable pair of binoculars. That goes also for their marine binoculars. Steiner has developed a protective coating (called NANO) that makes it so you never have to wipe the moisture off the lenses. A major innovation. Located in California, Barska has been around since the mid nineteen-nineties. That’s not really a long time considering some of the more established places but this has not stopped Barska from becoming one of the top brands in sport’s optics. A big reason they are where they are besides variety (Barska develops and manufactures a wide array of products) is the fact their supply chain is a relatively short one which allows them to connect more directly with their customers. 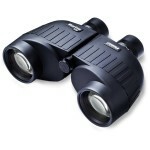 If you are looking for binoculars but cost is the major concern then you may want to look at Barska first. Out of our list of manufacturers, Barska is the one with a consistently affordable price tag. Some may take that to mean cheap and in a few instances they may be right but it’s is important to understand they are not always the same the thing. Known for their rifle scopes as well Barska also produces spotting scopes. Zoom magnification on these scopes goes anywhere from 15 times to 60 times depending on which one. You also can get them (like the Colorado scope) with the tripod included. As many hunters know this is a big deal. It’s not uncommon to find the ideal spotting scope you have been search for only to be thrown a nasty curve when they tell you the tripod is not included meaning you have to reach in your pocket and shell out more money for something that should be part of the overall package. Whether it is their binoculars, spotting scopes or rifle scopes, the price range for Barska products usually has consumers in one of two camps. The consumer is hopeful but still surprised when the product works not only up to their expectations but beyond. They cite how much it cost figuring what they paid for is what they get not quite making the connection that quality and affordability can go hand in hand. At the other end of the spectrum is the consumers who are not too happy with the product and their complaint comes down to how much they didn’t pay. In other words it should have been more expensive than it was. Since it wasn’t that is a prominent feature of their criticism. The spotting scope does the job to a point. Maybe even to the point specified however it’s just not good enough in their opinion and the low price is the reason. Judge for yourself. The Barska line regardless of the type of optics you are looking for may be ideal when it comes to price and quality all under one roof. Zeiss created the first modern binoculars. Based on an earlier design by inventor Ignatio Porro, the three men were able to improve dramatically on the idea of the Porro prism which is to see an object right side up. It sounds so obvious now but Zeiss and his associates took optics to the next level. Today the Zeiss Company is still renowned for their binoculars as well as cameras. Zeiss binoculars have a strong reputation and the ability to push ahead with new cutting edge technology. While they do deserve a place on this list Zeiss binoculars are not cheap by any stretch of the imagination. When we say high end of the scale this is a prime example. Founded in the German city of Jena city over one hundred and sixty years ago, Zeiss has certainly experienced as well as made a lot of history. And this was all before WWII. Post war Europe saw the Zeiss company broken into smaller units. The Cold War separated East from West Germany. After The Berlin Wall came down (and even before) Zeiss set about to joining all the pieces of the different company offshoots together. They did and Zeiss is back to being under one banner. Besides their binoculars Zeiss is famous for their rifle scopes as well. One of the main problems that hunters have is the amount of light that passes through the lenses of binoculars. There is a certain amount that gets lost naturally and depending on the quality of binoculars that amount can be pretty substantial. In 2012 Zeiss decided to release the final version of it’s highly successful Victory HT series. The result is that at least 95% of light is able to be transmitted through the lens. This is outstanding particularly in conditions where there is not that much light to work with. Zeiss has always been known for it’s clear imaging which produces some vivid colors. 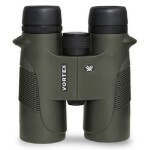 This line along with other Zeiss binoculars generally has the roof prism design. Roof prisms do reflect light more times than porro prisms. In general less is better but roof prisms make it easier to make compact water proof binoculars. This is an important consideration depending on where and when you will be hunting. Zeiss knows their business as you would expect from a company that has been around this long. But the price tag with a few exceptions can be very much on the high side. Are they worth it? Although some consumers have reported a few issues such as the lens covers could have provided a better fit and a little more extension for the eye cups, it’s very rare to hear anyone complain about the optics.